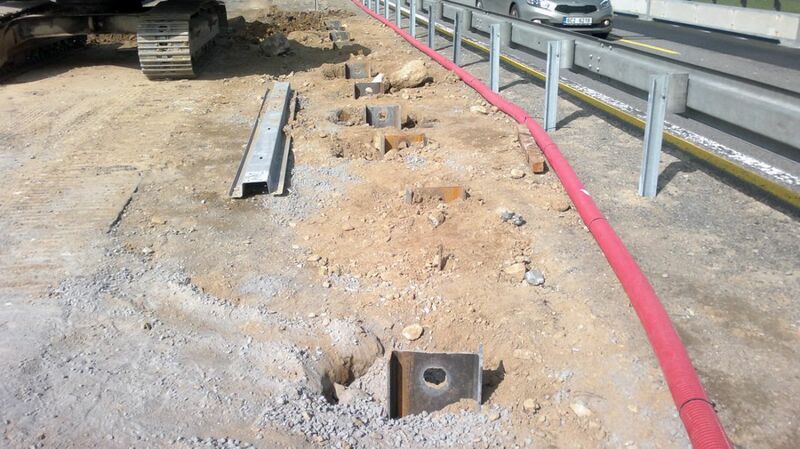 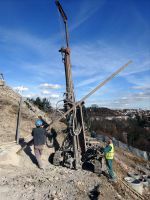 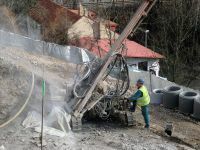 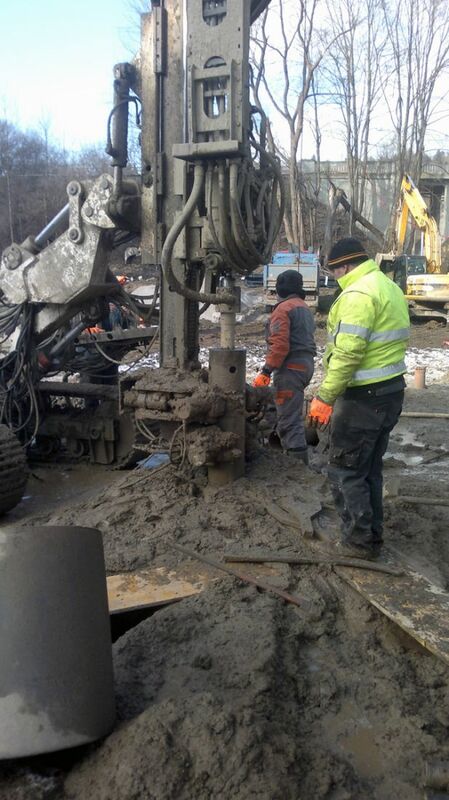 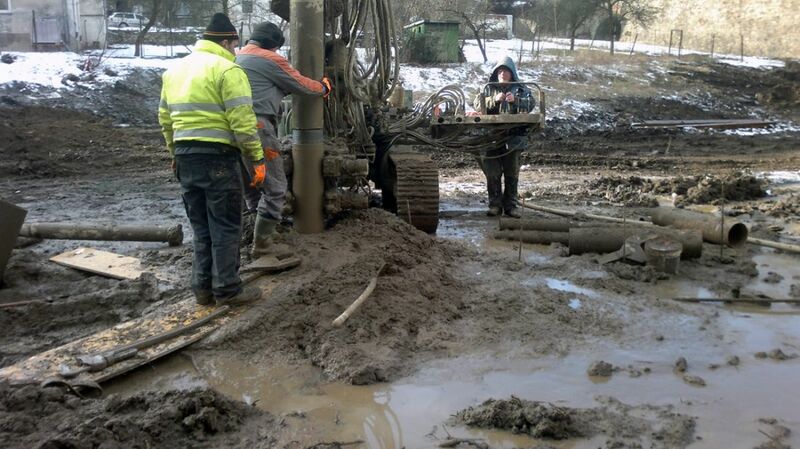 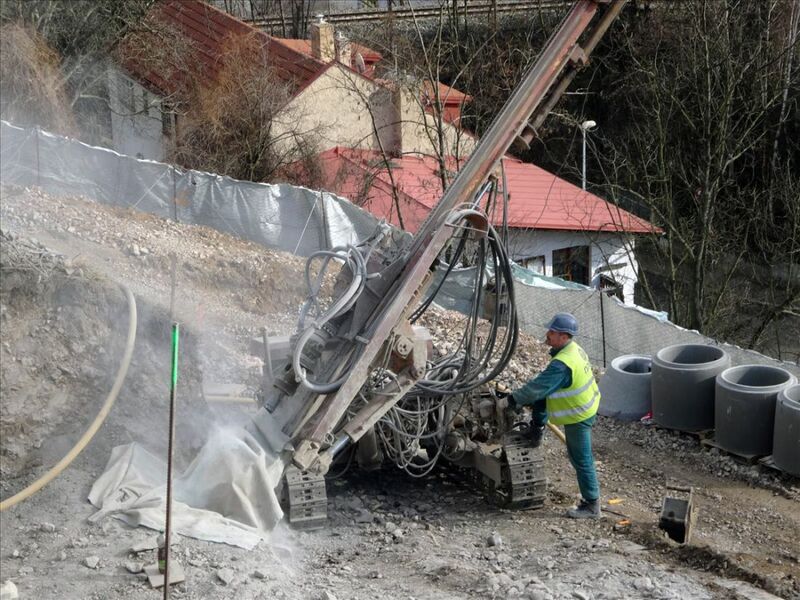 Soil nailing serves to ensure the stability of steep slopes by a system of short drilling anchor elements-nails. 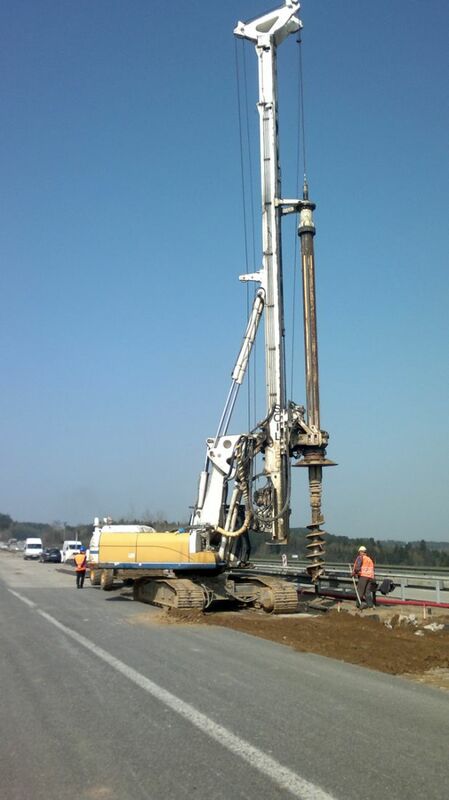 Concrete steel nails are fixed with cement grout into boreholes with a diameter of 46-180 mm. 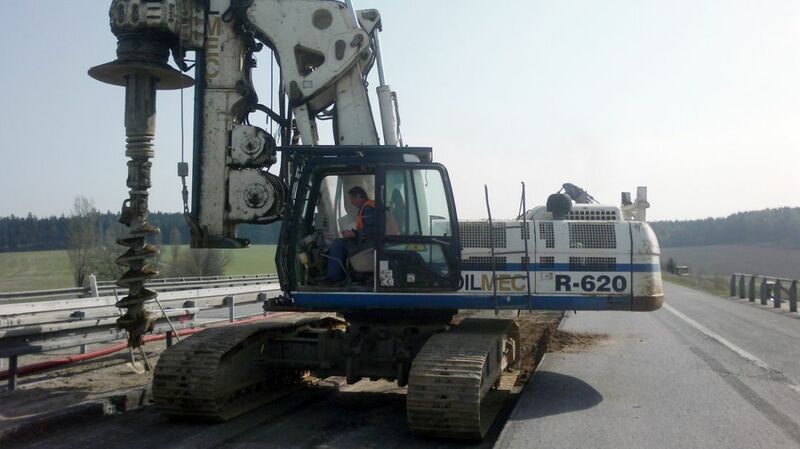 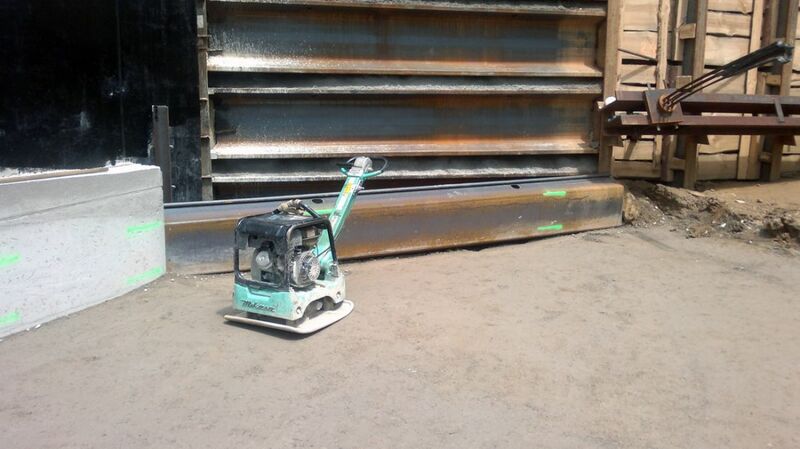 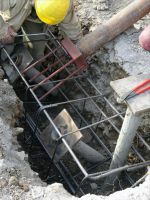 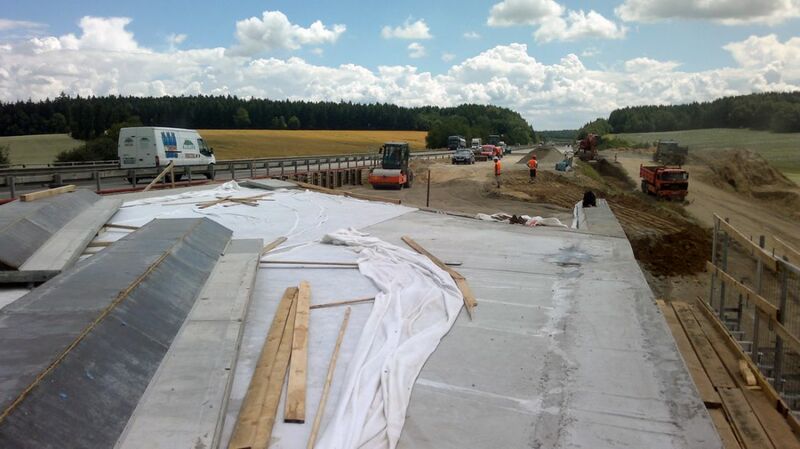 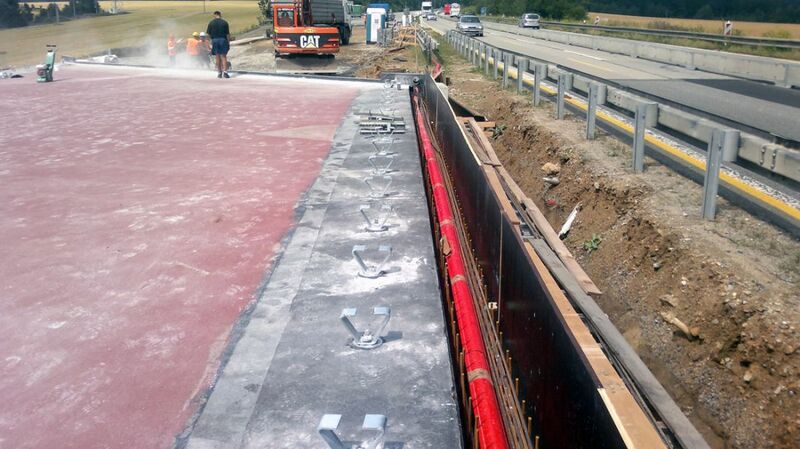 Riders are used for bracing of foundation pits, for ensuring of unstable areas, etc. 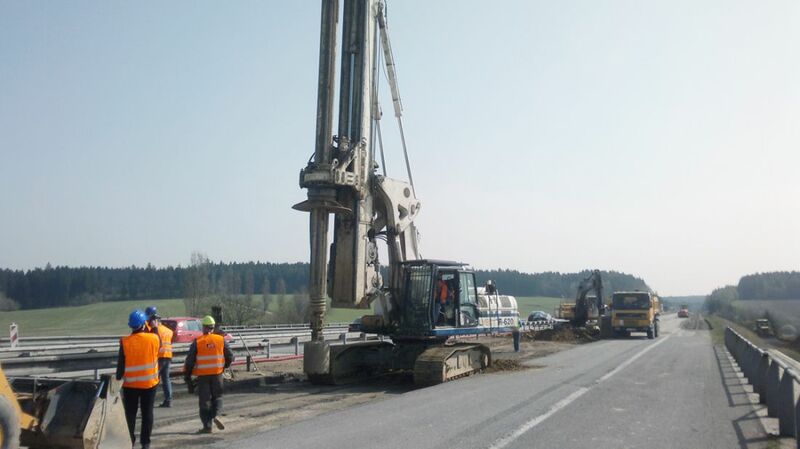 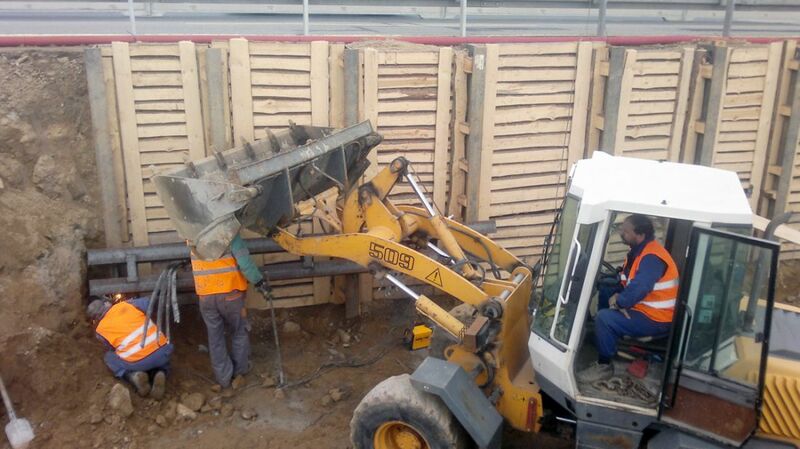 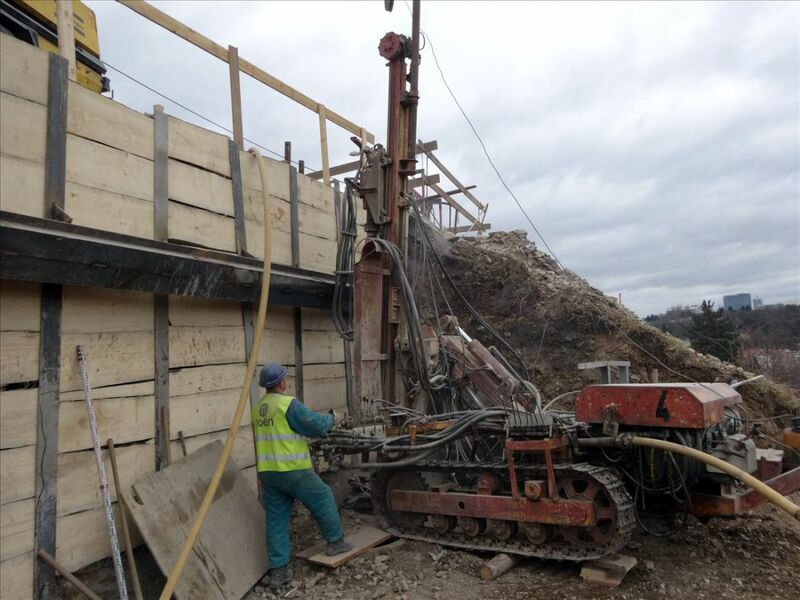 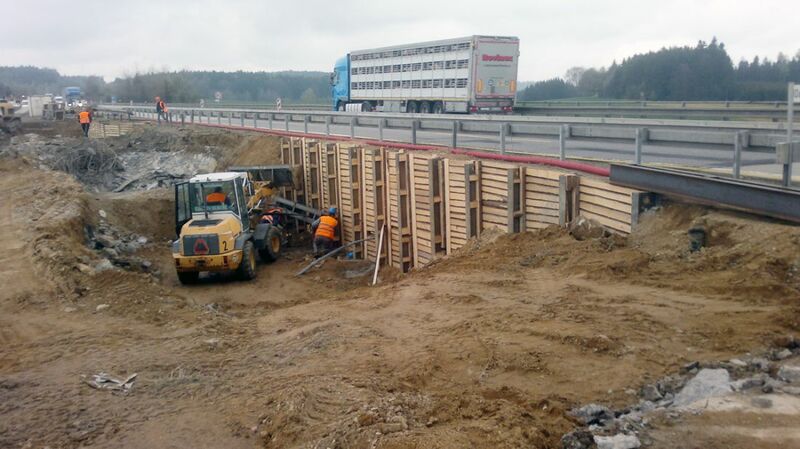 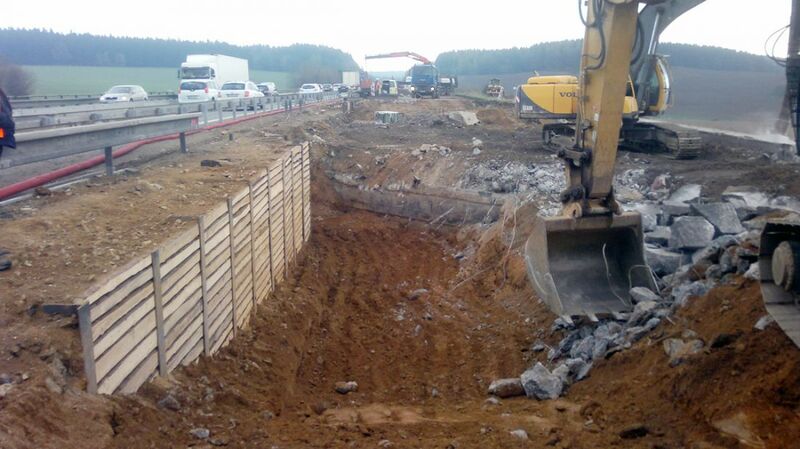 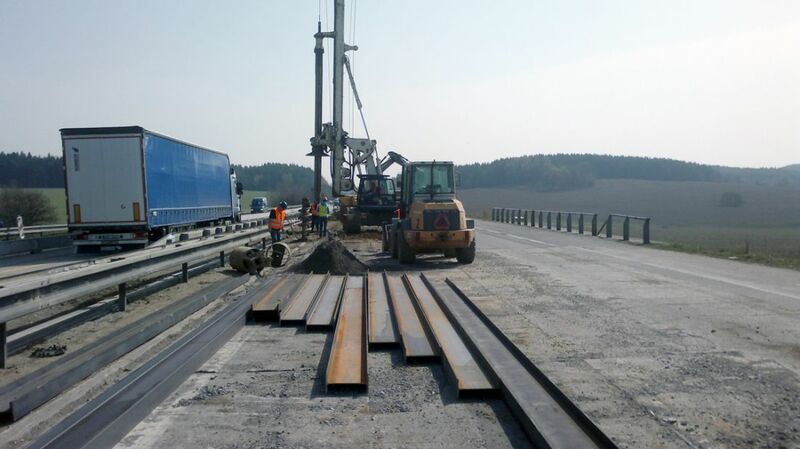 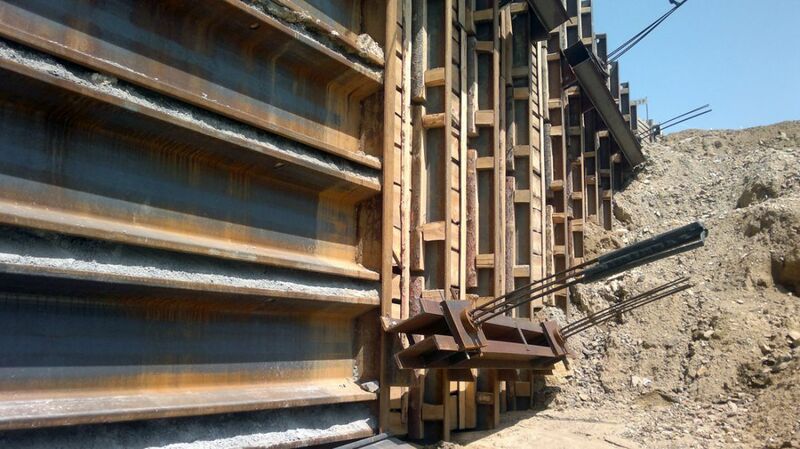 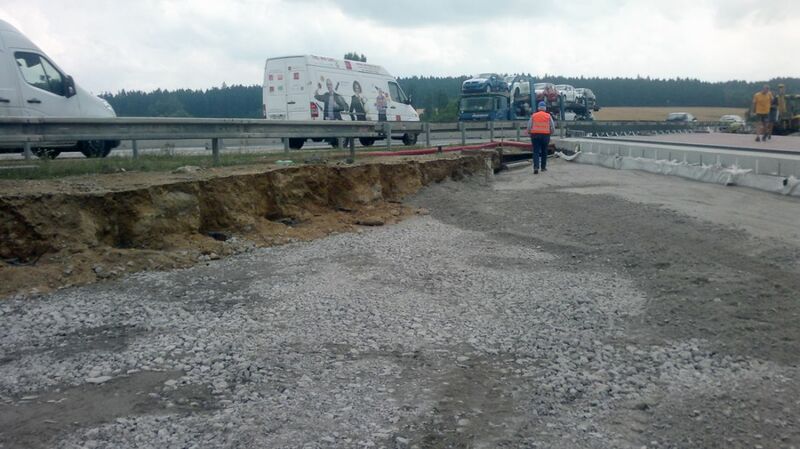 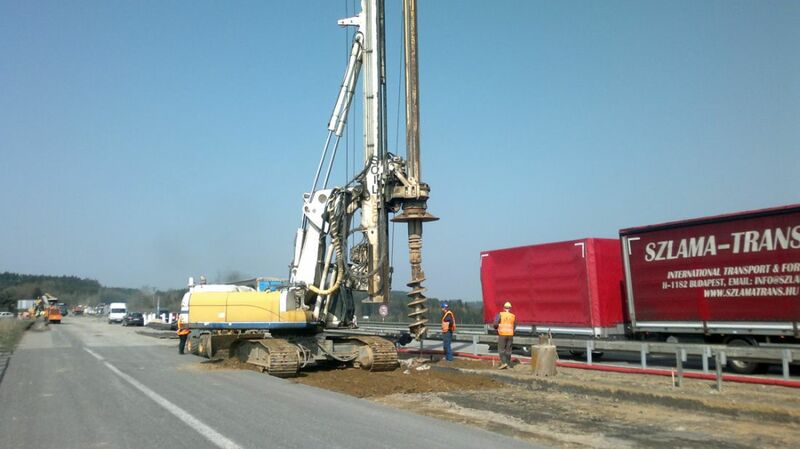 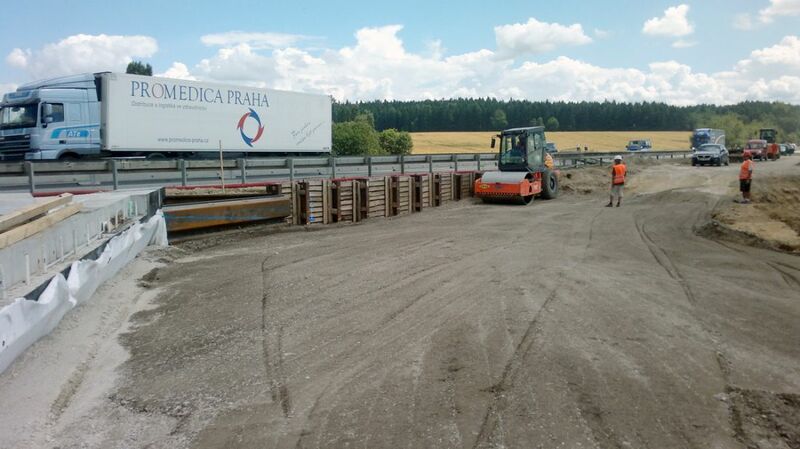 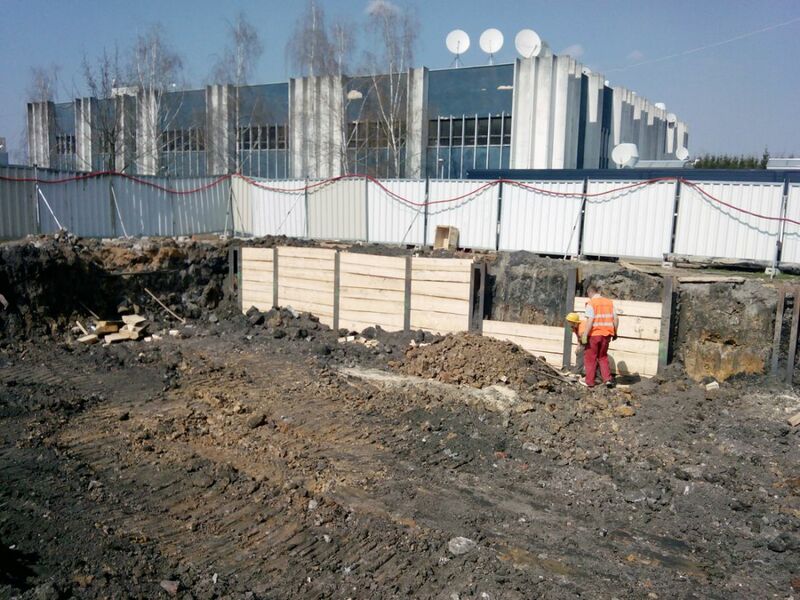 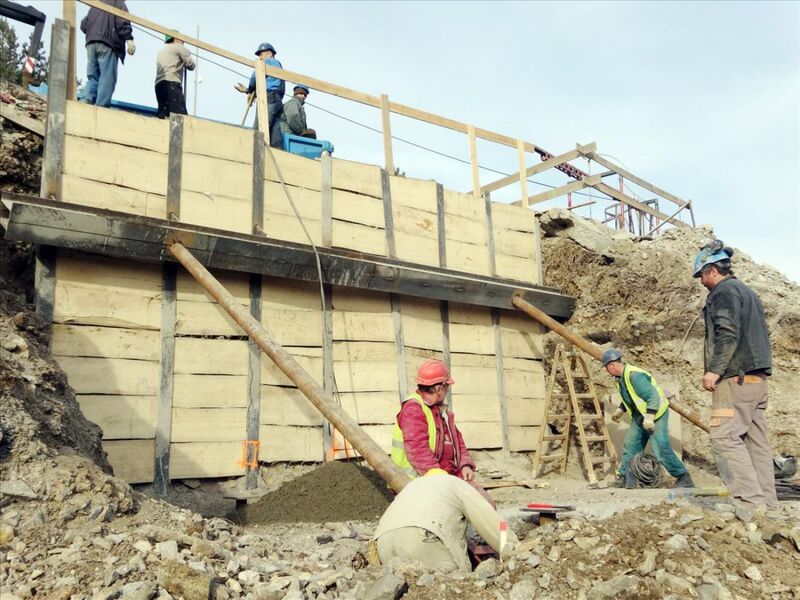 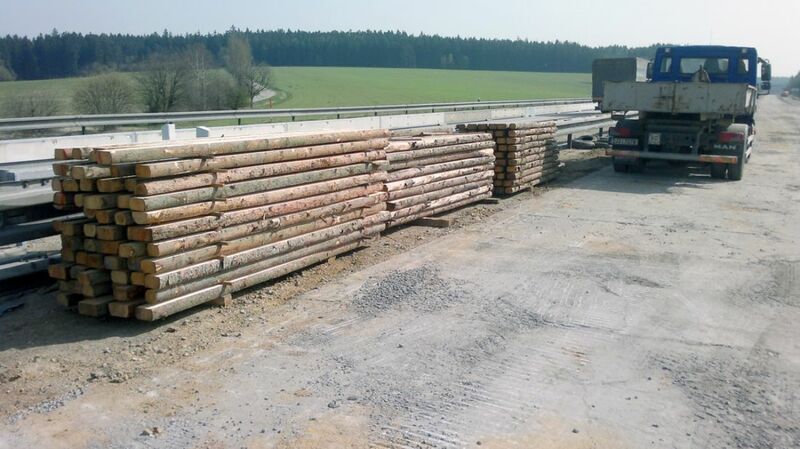 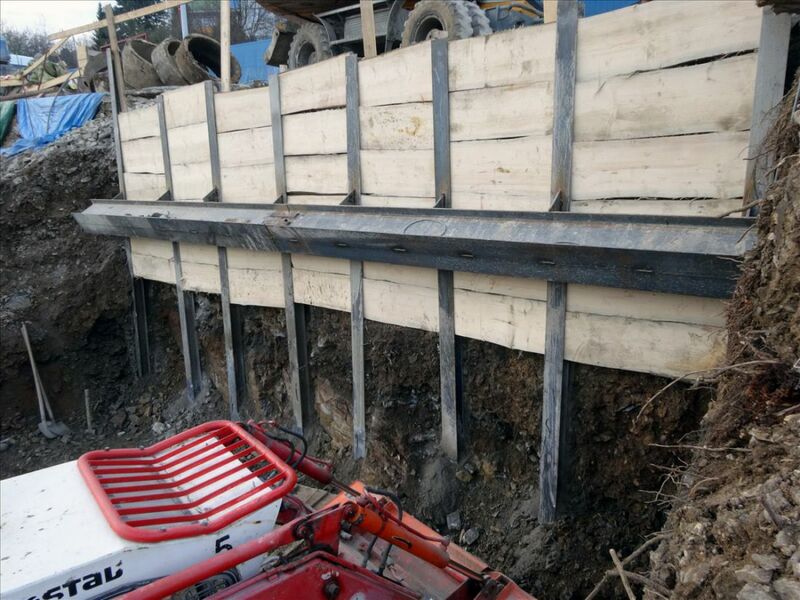 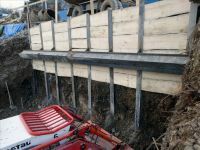 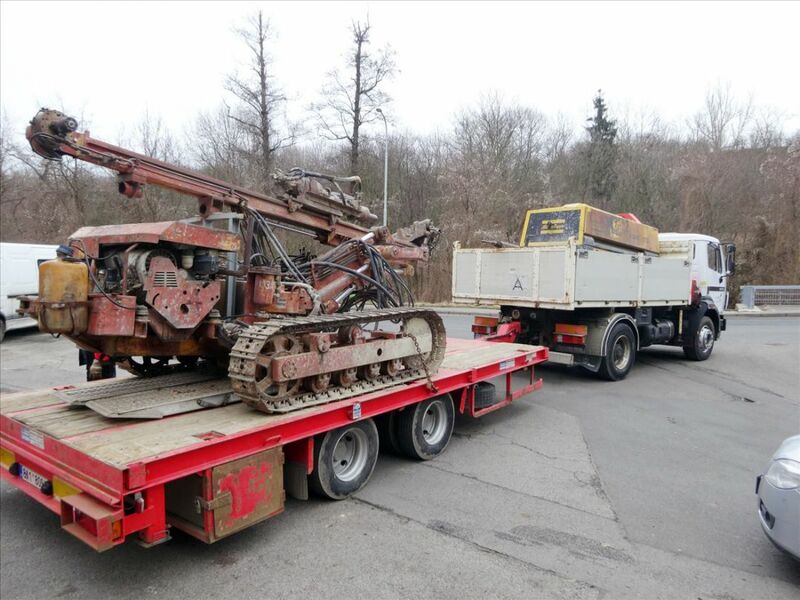 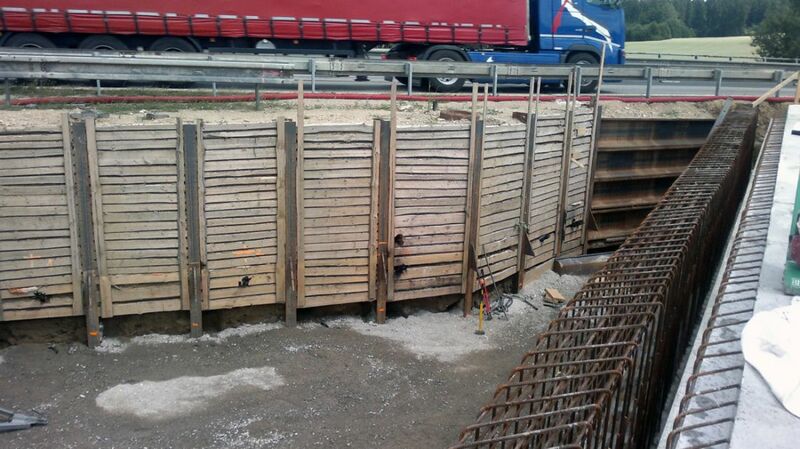 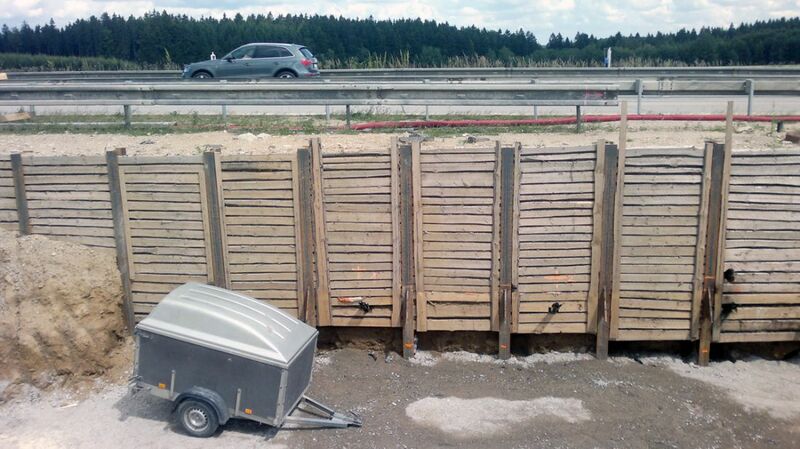 This technology is chosen where, due to confined space conditions, bad terrain access or inappropriate geological subsoil, large-dimensional rider walls can not be made. 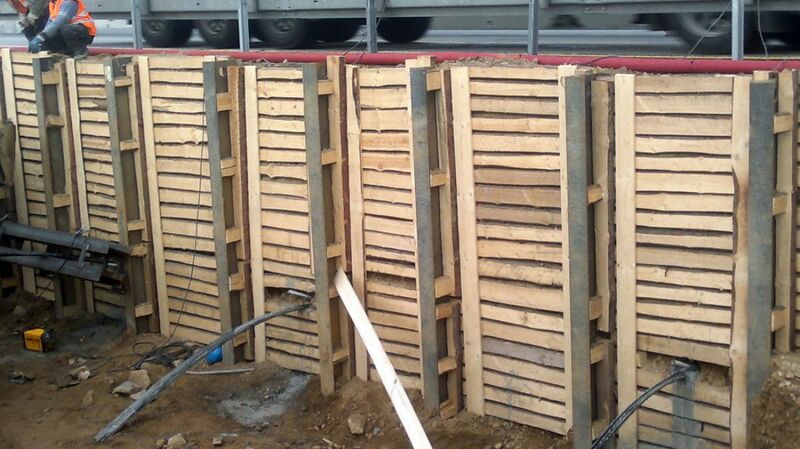 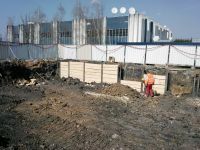 They are mainly used to ensure the stability of the walls of foundation pits by bracing. 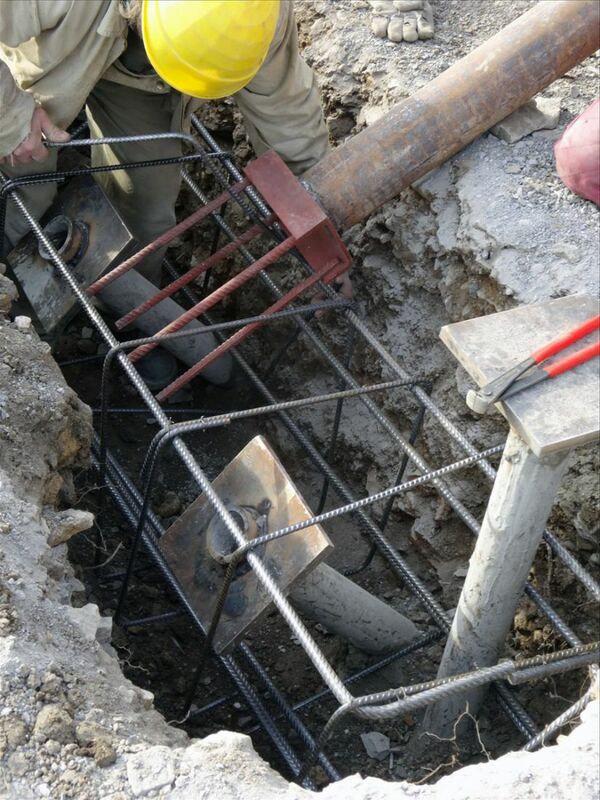 The soldier beams are made of steel beams fitted into boreholes with a diameter of at least 460 mm. 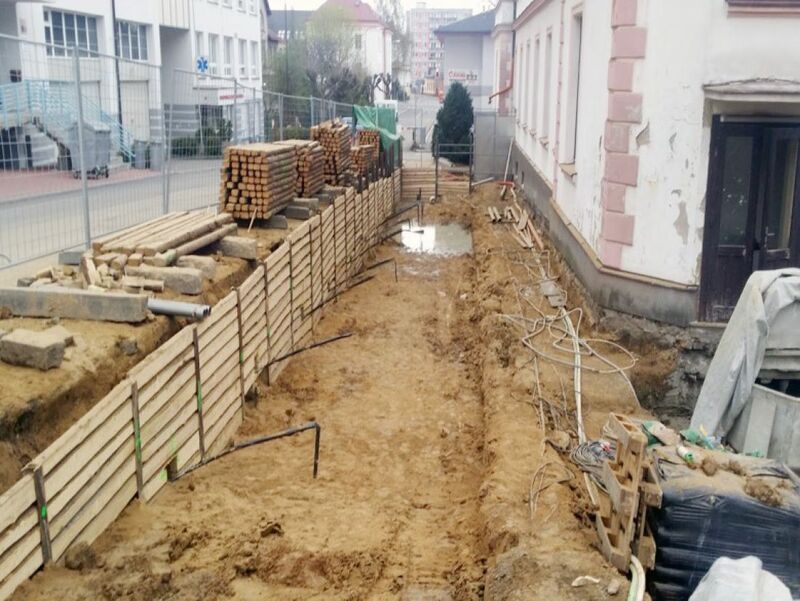 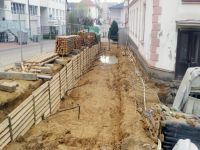 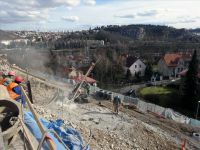 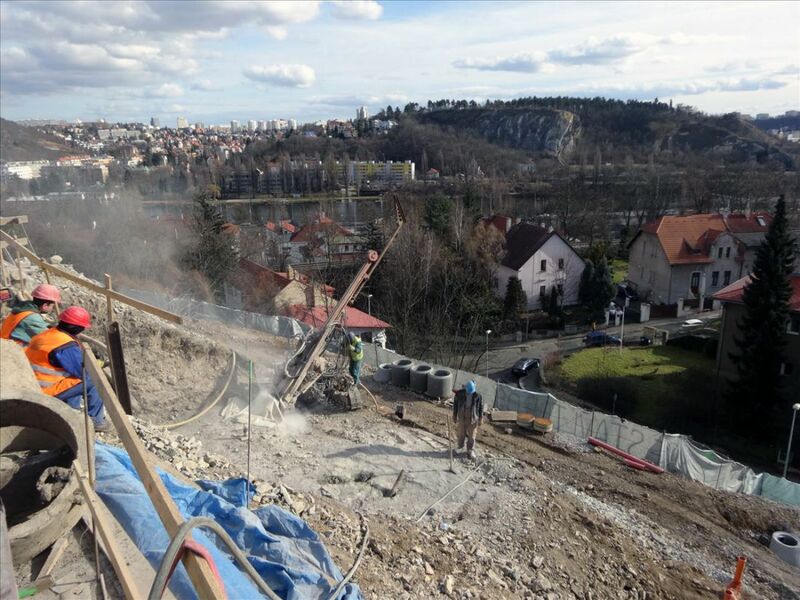 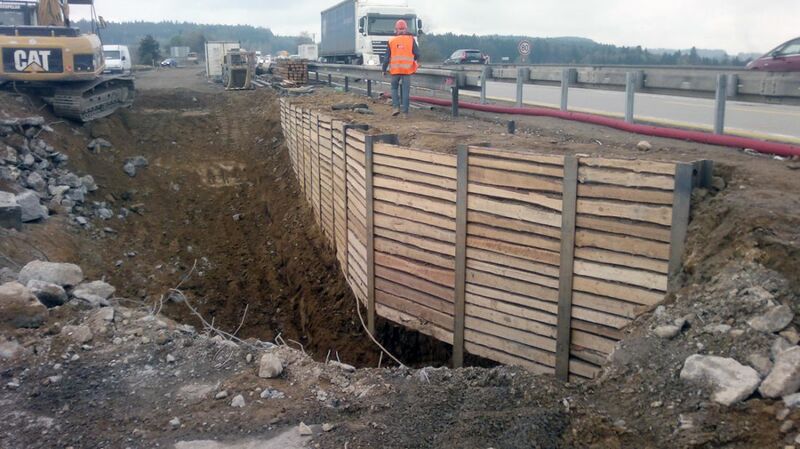 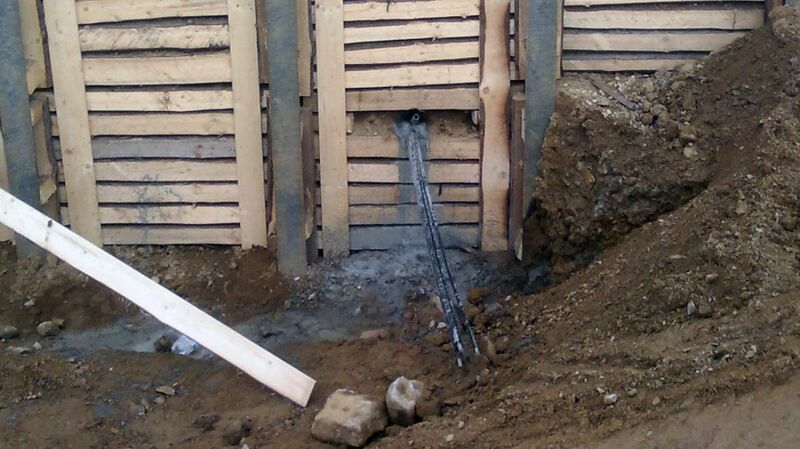 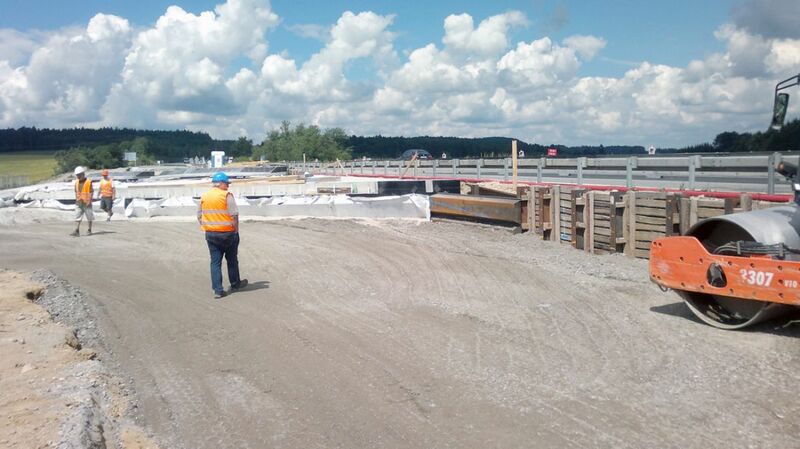 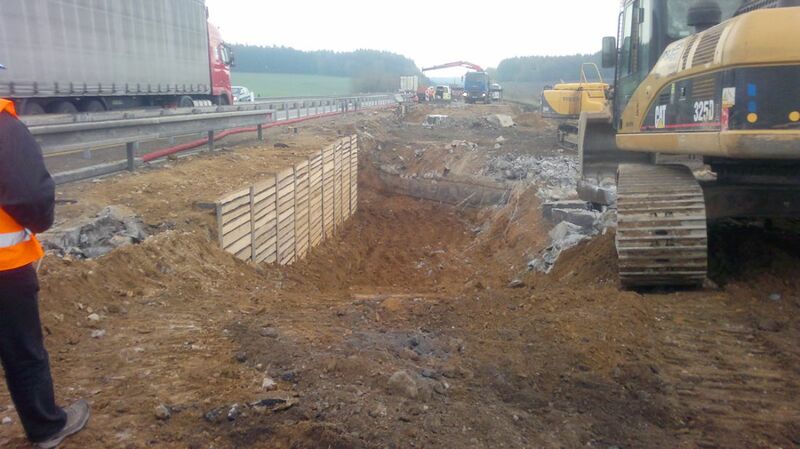 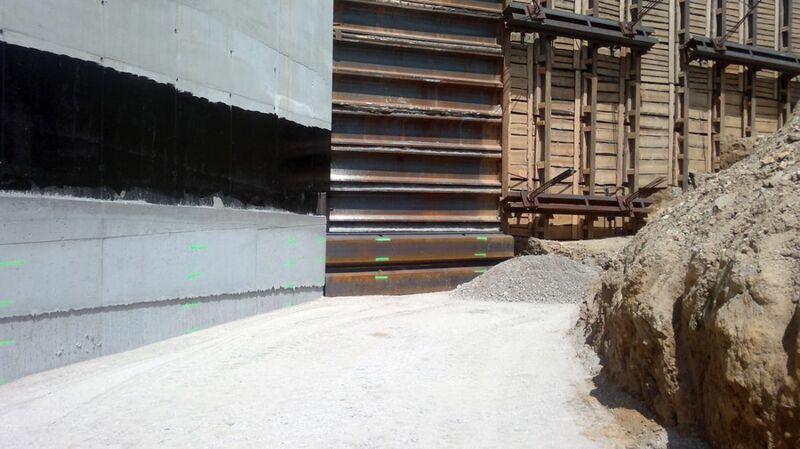 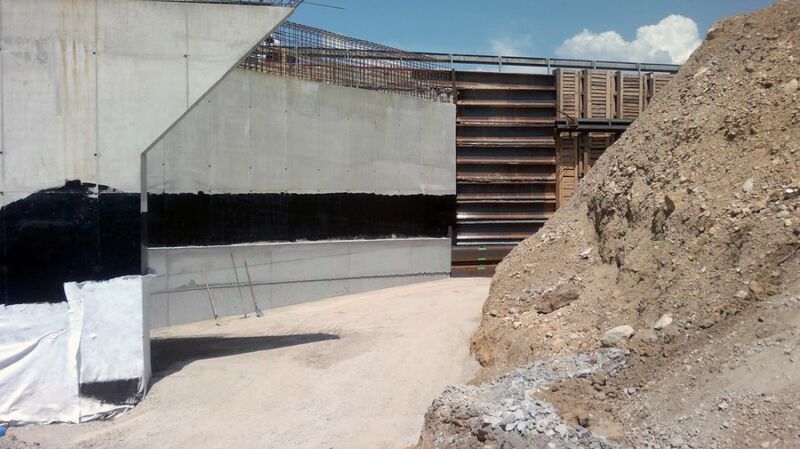 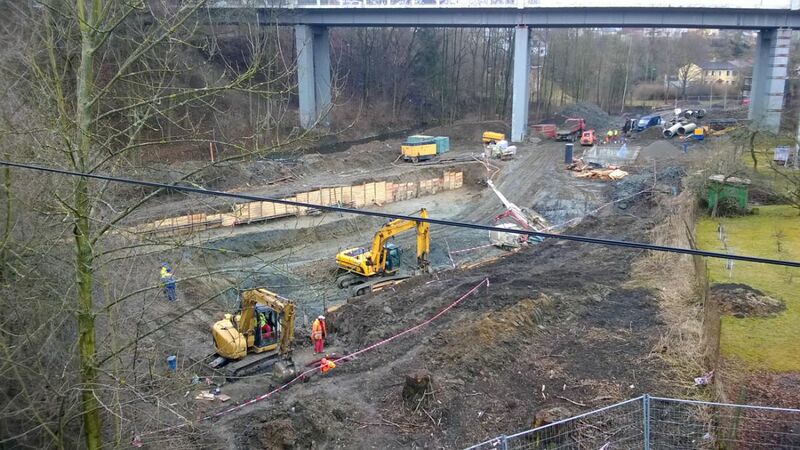 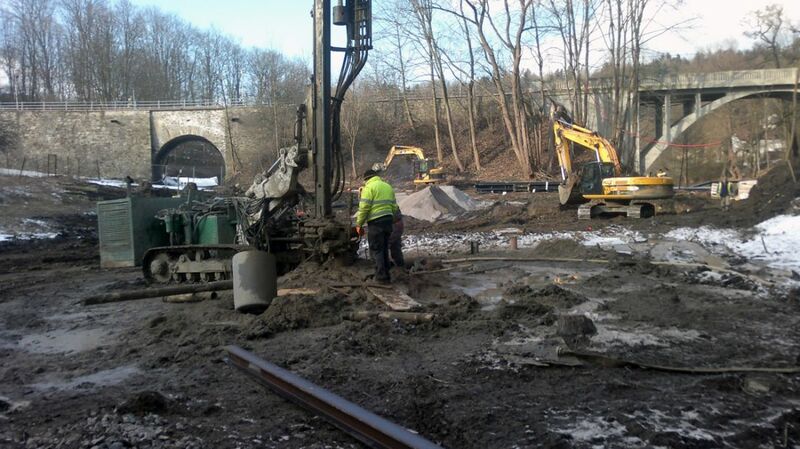 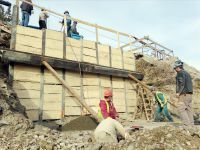 The bracing of foundation pits is completed with timbering and / or shotcrete. 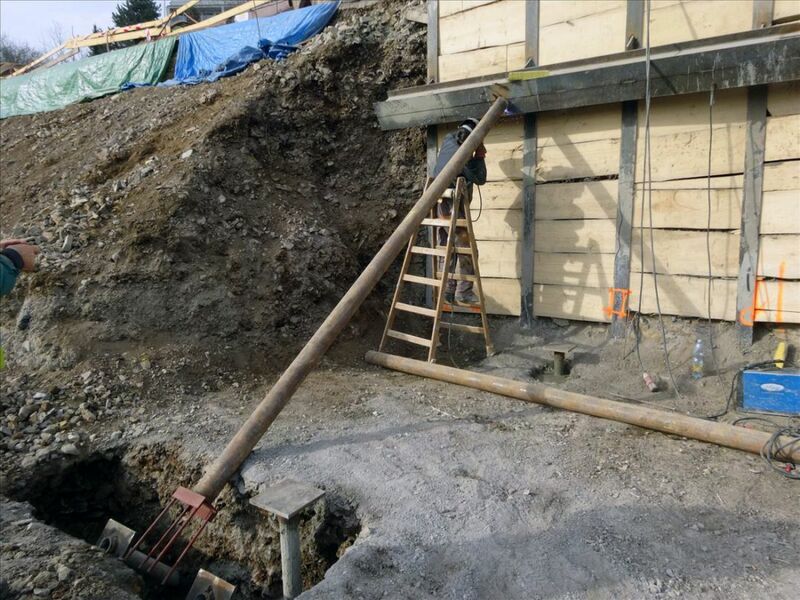 At higher strain, the resistance of the bracing structure is increased by anchoring with the help of earth anchors over a steel buckle or reinforced beam. Earth and rock anchors are used for anchoring of building structures (soldier beam, pile and micropile walls), ensuring of sliding areas, anchoring of rock walls, etc. The anchor transmits the tensile forces which affect the structure through the grouting root into the rock environment. 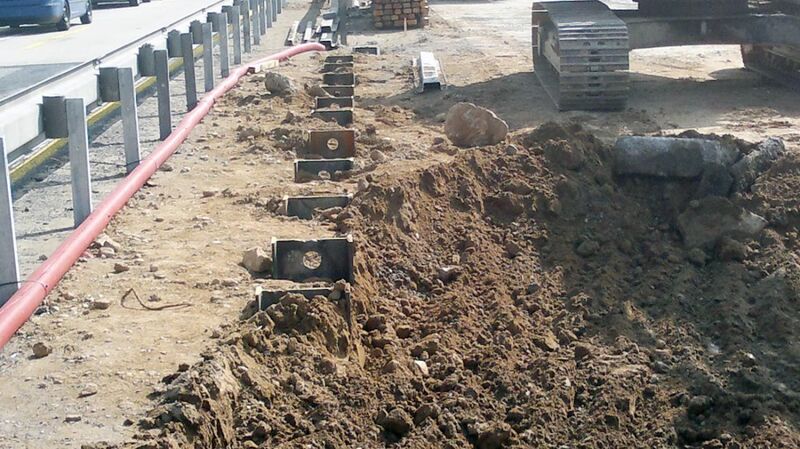 Anchors can be rope (1-12 strand, load-bearing capacity of 250-1200 kN) or rod (bearing capacity up to 420 kN). For tensioning of rope anchors we use special hydraulic tensioning guns, each anchor is being tested during prestressing at 1.4 times the prescribed load capacity. 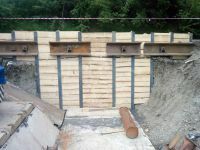 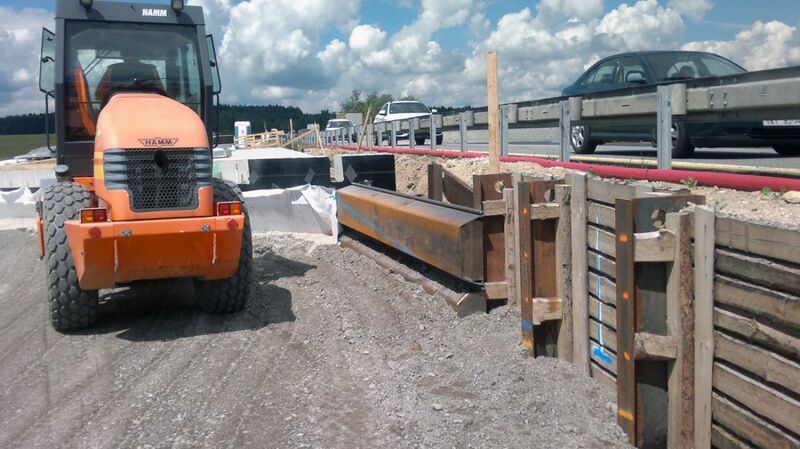 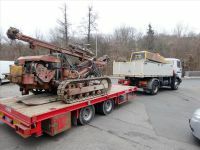 The anchored buckles are steel girders or reinforced beams through which the earth anchors carrying the horizontal forces exerted by the load behind the rider wall are drilled and mounted.